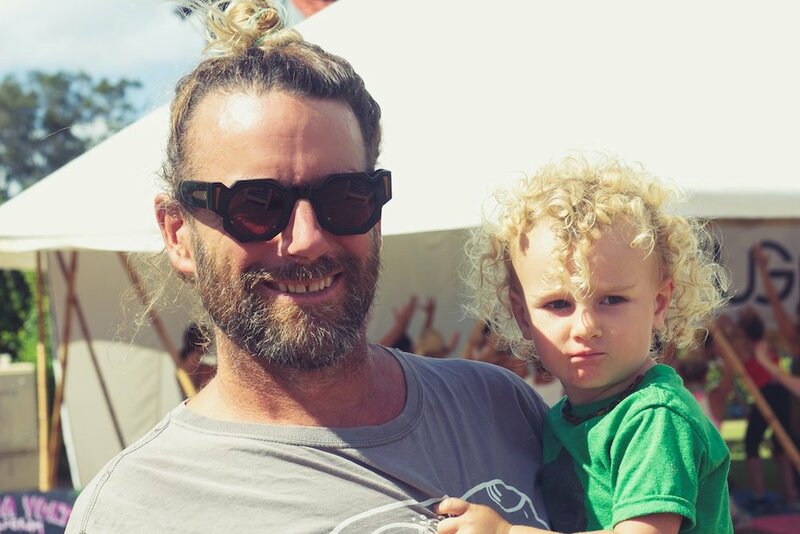 James McMillan is a mad keen surfer, father, Creative Director and founder of the Byron Bay Surf Festival (BBSF). This down to earth visionary is also the author and principal photographer of the best-selling book Blue Yonder, and known as an Artist for his signature 'Waterbird' series. With so much already on the go its amazing James creates time for a Sustainable Surf Festival as well. I was fortunate to catch up with him Between surfs and get the latest scoop on the BBSF 2018, how you can get involved, and where to see the best surf flicks! What is the Byron Bay Surf Festival? Founded in 2011 the Byron Bay Surf Festival showcases core and creative surf culture by presenting innovative and experiential ideas through unique and engaging experiences. The 4-day festival activates over 10 events including surfing, shaping, art, music, film, yoga and environment with a strong focus on sustainability, education and innovation. Simple beginnings happened in 2010. A friend of mine and I had just recently held a small event at Byron Bay Community Centre showing Tiffany Campbell's 'Dear & Yonder' surf film, along with me having a small art show. It was successful. A few weeks later I was fixing surfboards out on a farm behind Byron and that friend walked by and said what about going bigger, what a bout a festival. As a creative, I was naive enough to say Yes. The rest is history and I have learned and continue learning a lot about a lot! Humble beginnings, I love it! in 2017 the BBSF had even more of an emphasis on sustainability, can you share a bit of your vision for the BBSF in regards to its relationship to sustainability? I believe in doing things with purpose. When I create a painting it's not just about pretty pictures. The BBSF has a grand opportunity to not only give community and visitors a good time but also to educate. We do this through specific events, inviting special guests and hand picking all market vendors, excluding tipi's, that need to tick one of 3 boxes, sustainable, ethical or environmental practices in their business. Giving these companies an opportunity to show and sell their products educates and brings awareness to the public. In 2017 Byron Bay Surf Festival achieved a 'No Waste' event as declared by industry leaders and educators 'Sustainable Surf'. If we're not sustainable we'll disappear. Good stuff, so When is the next Byron Bay Surf Festival? Is it free or ticketed? Most of our events are free to the public, including the 'Surf Art Markets' and 'freestyle & stoke'. Some of the events are ticketed, like the workshops and music events, best thing to do is head over to our website and subscribe so you can be first to know when tickets go on-sale as they do sell out. And How will this years festival be funded? Sweet good to know, besides getting ready for 2018's festival, what is the BBSF up to? BBSF has partnered with local theater The Brunswick Picture House and has been showing a program of surf films on the big screen over winter. We started with Thomas Campbell's 'Sprout', Mick Waters' 'Believe' and last month we showed Tin Ojeda's 'Free Jazz'. Once again each film was hand picked for quality, content and artistic bent. We love creative approaches to content delivery. The last film that we are very proud to be showing for 2017 is the new Patagonia movie 'Fish People' directed by Keith Malloy (@thetorpedopeople). This movie shows on Nov 23rd at 630pm. How can people get involved with the BBSF? The best and funnest way to be involved is to come to our Festival!! And if you really want to get amongst it and contribute your time and skills jump on our website and follow the menu to Applications and 'Volunteers'. Vollies are a valuable asset to running this festival and we really appreciate each individual and the skill set they bring. *photos in top slideshow are copyrighted by Byron Bay Surf Festival and Chrystal Dawn use without consent is prohibited.